Sometimes, you end up with an overly serious, formal and dull interior design theme that is crafted in the image of styles like stark modernism, minimalism, industrial, etc. So what to do when you need to lighten up the atmosphere? Let’s find out! Relevant accessories can always uplift the mood of any space – especially when the interior you’re designing partially showcases a moody and serious theme. 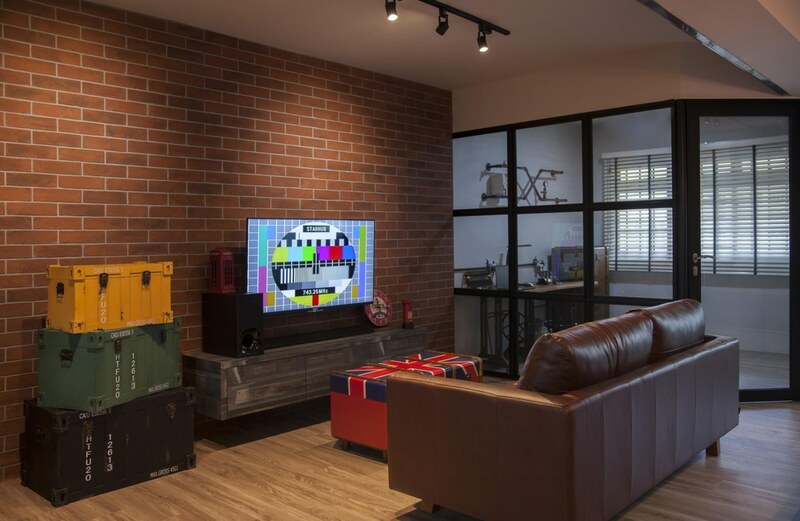 You can use colorful accessories in quirky aesthetics to add a playful aura to your spaces. The barn-style chests stacked beside the media wall are a pretty good example. They lend a cheerful quality to the space in an effortless sort of way. As we all know, every color represents a specific mood. This is why color schemes are always key to translating your vision to reality when it comes to interior designing. When you’re trying to emulate a lighter tone to your interior ambiance, it is best to add sporadic splashes of fun colors throughout the space. Use yellow, reds and greens to counter balance the serious aura in the room. When it feels like your space features a very subdued and serious look, you should consider introducing a fun activity to create a more energetic ambience. 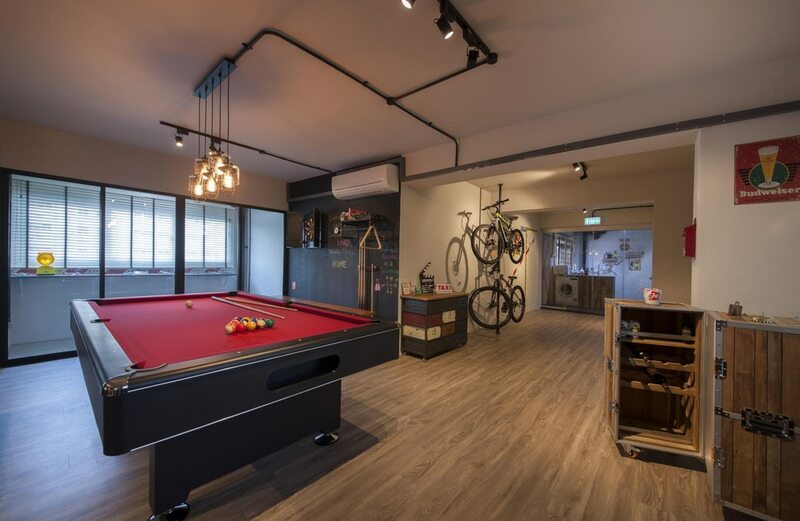 A pool table or bicycle rack are pretty good ways to energize your whole space in a subtle but effective manner. 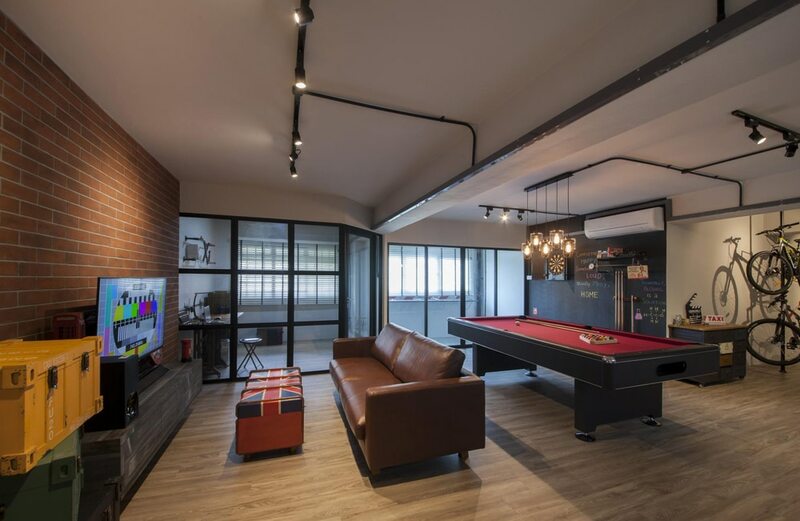 You’ll never feel forced to play, but even the presence of these accessories can add to the overall quality of your interior design. While lighting is always important, it is the actual light fixtures that add to the aesthetic of the overall design. If you choose solemn and understated light fixtures for an already serious interior design, you’ll end up with nothing interesting in your space. So it is best to choose quirky light fixtures to enhance the mood of your interior design. 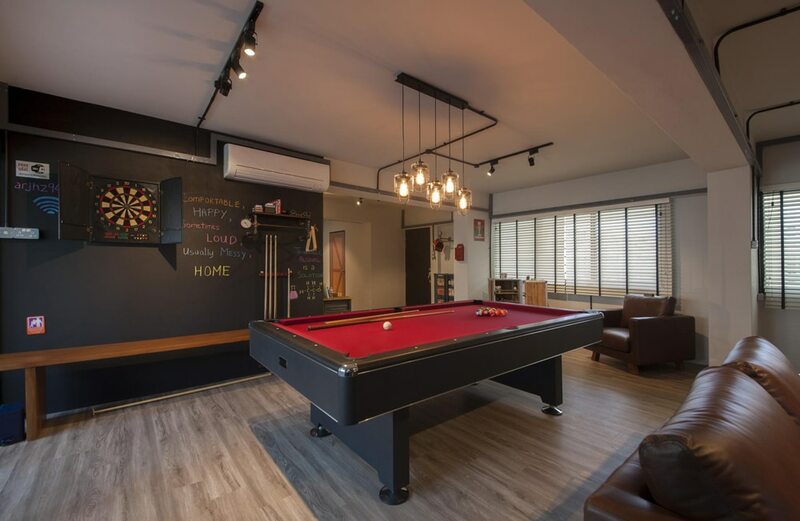 Chalk walls are one of the most hyped interior design trends in Singapore, and rightly so. You can use them for a number of fun activities – from doodling your heart out to creating extensive to-do lists that are always in sight. They’re also a great way to lighten up the atmosphere when the rest of your interior is designed on a serious theme.